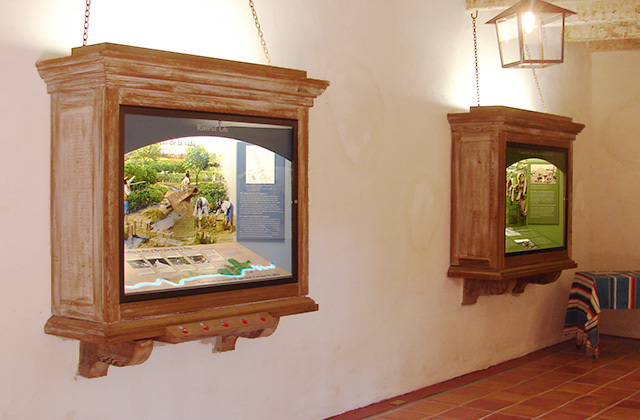 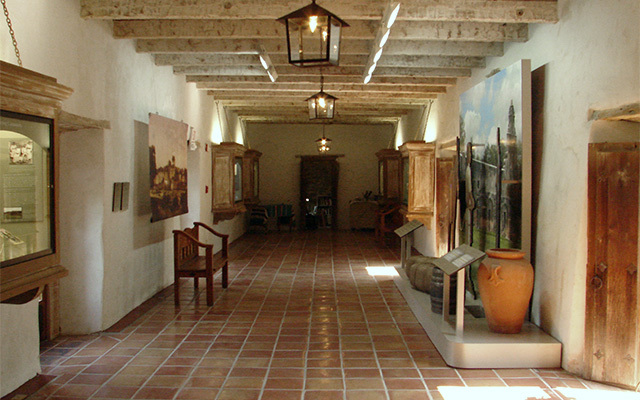 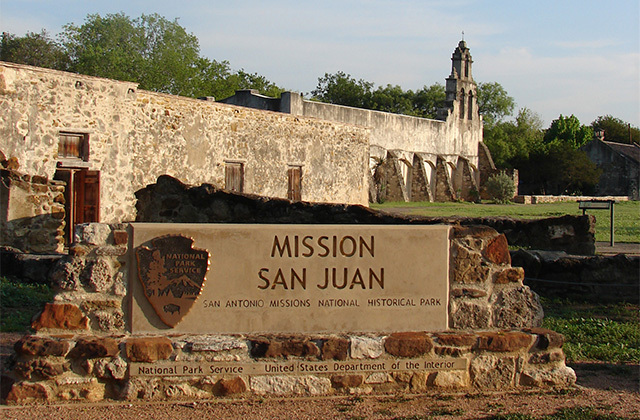 The exhibits at Mission San Juan explore the role that Spain played in the development of the region and are thematically focused on Community, Trade and Agriculture. 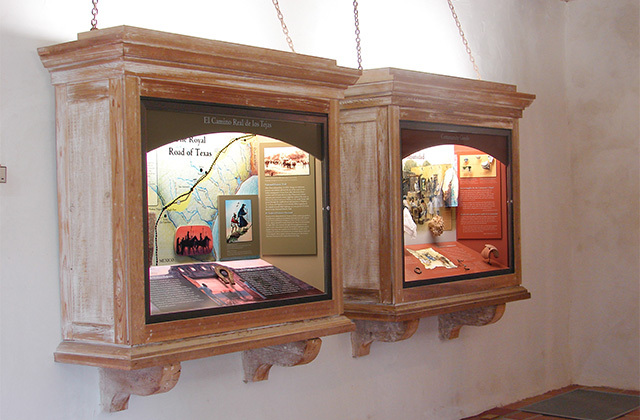 Working with historic cases that were constructed in the vernacular of the original mission architecture, Whirlwind was tasked with designing displays that would retrofit these existing cases with new interpretive exhibits. 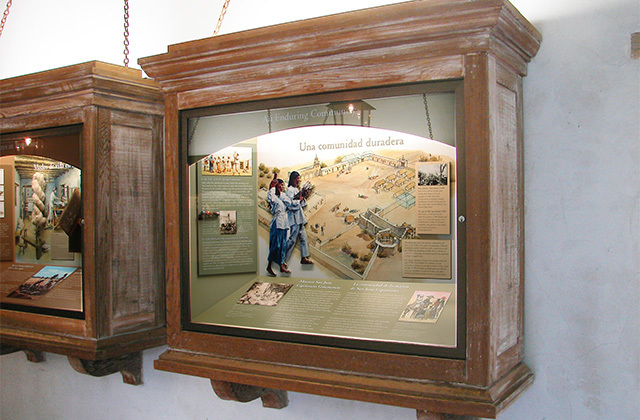 Each case integrated graphic panels with original illustrations and artifacts, telling the history of the Mission and its role in the community. 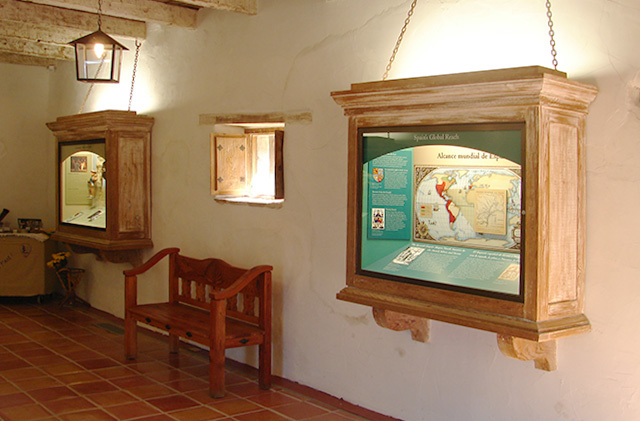 Serving a bi-lingual community, text was integrated in both English and Spanish.